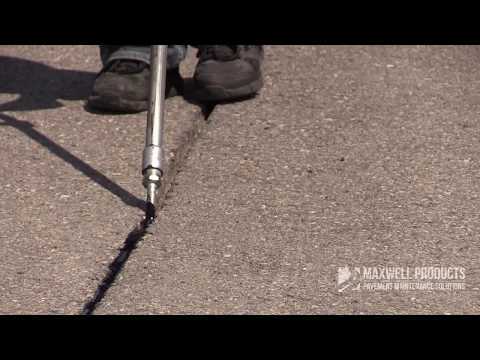 Another common and cost-effective method of sealing pavement cracks, flush-fill crack sealing is accomplished by filling a crack with crack sealant material flush with the surface of the pavement. There may be slight settling as the material cools, creating a very shallow channel, but flush-filling a crack seals out moisture and incompressible debris, protecting the base and walls of the crack, as well as provides a flexible filler that will move with the pavement during thermal expansion/contraction cycles. This method is usually chosen when a surface treatment or overlay is planned and/or when an overband is not wanted or required.